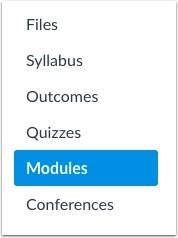 By default, assignments in Canvas are assigned to Everyone, which means all students will be able to view the item in their Modules page. 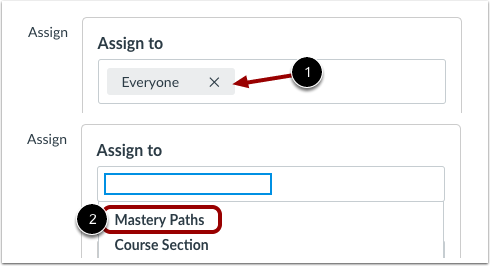 Once you have added conditional assignments to a MasteryPath, you must designate the assignment for conditional release by assigning it to MasteryPaths. MasteryPath assignments only display to students whose scores fall in a range that releases the assignment to them. 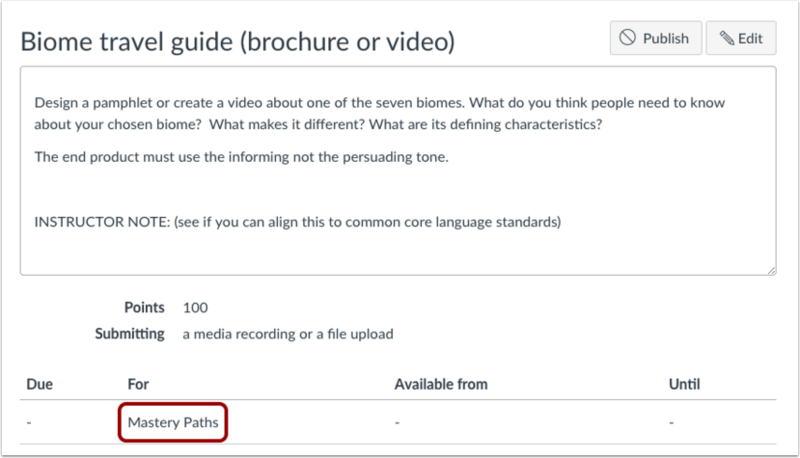 To confirm that all conditional content items have been assigned to MasteryPaths correctly, you can use the Test Student to view the students' Modules page by enabling Student View. The only course items that should be visible to the Test Student are items assigned to Everyone. Therefore, if the Test Student can view a conditional item without having completed any coursework, the assignment may not have been edited and assigned to MasteryPaths. MasteryPaths is currently a course opt-in feature. To enable this feature, learn how to manage feature options in the course features lesson. For quick reference, assignment and quiz pages display user assignments. User assignments cannot be viewed from the modules page until the assignment has been assigned to multiple students. Due dates for conditional items are not applied when the item is released to students. To add due dates for conditional items, wait until all students have completed the initial assignment and then add due dates to the conditional items. Locate the MasteryPaths item and click the Mastery Paths link. For each assignment in each range, click the options menu  and click the Edit link . The assignment will open in a new browser tab. In the assignment's Assign field, click the Everyone remove icon , then click the text field. Select the MasteryPaths option . 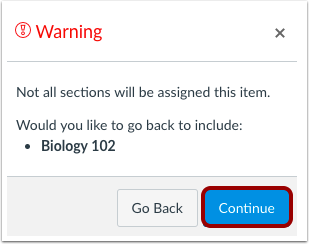 Canvas displays a warning message asking you if you want to add additional sections. For MasteryPaths, you can disregard this warning. Click the Continue button. The assignment will only display in a student's Modules page if the student's score in the MasteryPath source item releases the assignment to the student. Previous Topic:How do I add conditional content to a MasteryPath source item? Next Topic:How do I view the MasteryPaths range breakdown results for an assignment? Table of Contents > Modules > How do I assign a conditional assignment for students to complete in MasteryPaths? Re: Gradebook Export: So Many Columns? ?